I have increased collaboration and communication with individuals within and outside of my team and I feel less concerned I am missing something. I have been into technology for many decades. What started off as a hobby when I was young grew into a career that has seen a constant level of change. Back in that early 90’s I was introduced to an email platform called Microsoft Exchange and the Exchange client. Having used early command line and graphical based email clients the Exchange client was exciting as it offered new features and functions. When the Exchange client was paired with a software called Schedule+ you suddenly had a great tool to help communicate with folks and schedule your activities. Fast forward several decades and the Outlook client has continued to evolve, today it provides a wide range of features and functions. In today’s environment, the speed of communication and working with disperse teams that span multiple time zones has changed how we work and collaborate. The number of teams, projects and overall conversations that we are part of each day has increased drastically. To stay productive, we need to adopt new methods, leverage new tools, workflows, and automation. When I was introduced to Microsoft Teams I saw potential in the tool, but old habits kick in and I put it aside and continued with my standard communication and collaboration methods. Six months ago I decided to go all in with Microsoft Teams. I have been exploring a variety of opportunities to leverage Microsoft Teams as part of my day-to-day workflow. The list below highlights some of the ways I am now using Microsoft Teams. The benefits that I have seen using Microsoft teams has been impactful, and the benefits continue to grow each day. Project Collaboration – I have used a variety of tools and methods over the years. One thing that I really like about Microsoft Teams is the consistent user experience across desktop, browser, and mobile devices. I can start working on one device and continue on a different device from almost anywhere. One-to-One Chat – The persistent nature of the One-to-One and One-to-Many chat function is great especially when there are discussions about a topic and there are files shared. The ability to quickly go into that discussion thread, search across the text and files is helpful when you need to go back after the conversation. Channel Discussion – Channel discussions within various Teams really helps to consolidate discussions around focused topics. The ability to be aware of new messages and the use of @ mentions to specifically draw the team or specific users is helpful in allowing me to prioritize my time and focus in on critical conversations and task. 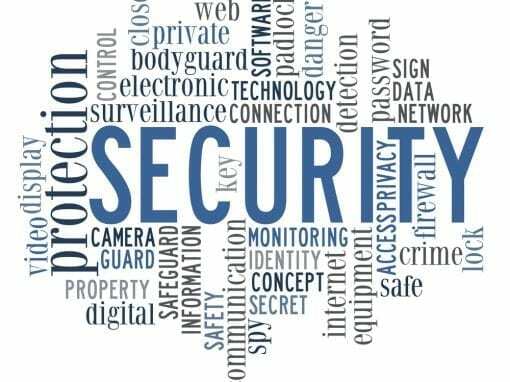 Document Sharing – One thing that has always been a challenge when collaborating with folks over email has been managing files. Sending a file via email, making changes, and then emailing it back can be very time consuming. With the document sharing aspects within Teams you can share a file, and edit it with others from a central location. The team can work on it separately and in real time as well have specific discussion threads around the document itself. In addition, working out in the open with your team allows other members the opportunity to contribute and provide feedback. Workshops / Training – I have been part of a few internal training events and workshops over the past 6 months. We leveraged Teams to simulate an all-day conference where we would meet in a general session at the start, in the middle, and at the end of the day to talk about high level items. Between the general sessions we would break out into small working groups within Microsoft Teams. The ability to quickly shift voice, video, and screen sharing between the general channel and specific teams channel worked well and allowed us to collaborate in a similar style as if we were all at the same conference. The proctors on the team were also able to quickly jump in and out of the various team channels to provide support and guidance as needed. Automation (Connectors) – One of the quick wins for me in the automation category is a weekly task where I look for new and updated content to share with various Microsoft Partners that I support. There are many websites that I would go to and read through various blogs and newsfeeds to see what has been updated. Through the use of Connectors, I have been able to leverage teams to consolidate the updates into a single location that I can quickly review, and curate as needed. While I am still exploring Microsoft Teams and as new features are continuing to flow in, the benefits I have had so far have really helped to improve my work environment. The number of emails I received daily has gone down significantly. The level of continued learning has increased as I am able to join in discussions happening across teams inside and outside of my focus area. This has allowed me to learn about other aspects of the organization and know who to pull in when needed. I have increased collaboration and communication with individuals within and outside of my team and I feel less concern that I am missing out on something. I have saved countless hours using the search functions to quickly find documents and key points within past conversations. And my all-time favorite is the significant reduction in emails as high velocity type communications are now happening in Microsoft Teams, cutting down the reply-all threads. 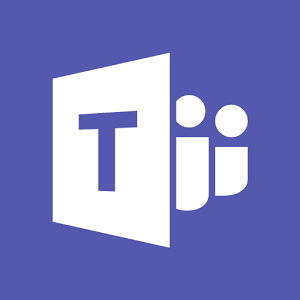 If you have not yet started exploring Microsoft Teams grab your team and give it a try. Stay tuned for future posts on this topic as I explore new features and find more ways to leverage Microsoft Teams as my central dashboard in the Microsoft 365 experience.